What do academics do wrong? Over winter break, I made the decision to experiment with my survey course, which covers British and Irish literature from the end of the 18th century to the present. I wanted to see if I could inject new life into a course structure that has seemed, to me at least, increasingly tired and outdated. I had really begun to wonder why we—by which I mean both my department and the discipline as a whole—felt it necessary to push our students through these hit-and-run overviews of the history of literature. When we’re covering James Joyce in 50 minutes on Monday, Virginia Woolf on Wednesday, and T.S. Eliot on Friday, are we really helping them learn content that they understand, that matters to them, and that will remain in their brains beyond the span of the course? Last spring, on my most recent run through the survey, I experimented with holding an end-of-semester celebration of British literature designed to help students connect the literature we had studied to their own experiences or to contemporary cultural products. The students worked in groups to sing and play old British folk songs, give dramatic readings of poems and plays, and explore how themes in the works were still present in our lives today. I counted the evening a qualified success, and kept it on the syllabus for this semester. This time around, though, I wanted to establish stronger connections from the very beginning between the course material and students’ own lives. Before the semester started, I tried to look at the course from a student’s perspective, and ask some hard questions: Why should a 19-year old American student in 2012 know anything about the Romantic poet William Wordsworth, care about his views on the natural world, or remember any of his works? Why should that same student care about historical events like the 1819 massacre at Peterloo or trench warfare in World War I? In the back of my mind was the research I have been doing recently on how human beings learn,and on the workings of human memory. When I looked at the standard design of my survey course, it didn’t seem like it fit very well with what I had been finding from my reading on memory and metacognition, or from the learning theorists I was interviewing. So I planned an overhaul. I decided to identify four historical events—one for each of the four major literary periods we cover—around which I could build an interesting story that could make the works relevant to students’ lives today. I would deliver narrative-based lectures on each of the four events, and they would serve as orienting points for all the other historical events and literary works that we discussed in that period. I specifically chose events that would allow me to build connections between the past and students’ present lives. For example, we began with the story of the Luddite rebellions in the English midlands from 1811-13. Textile workers whose jobs were being lost to new (or newly legalized) machinery and who were being forced from domestic industries into factories, the Luddites make for sympathetic protagonists. Although they sought to remedy their situation with the questionably effective tactic of smashing the machines that were displacing them, the British government responded with alarming force by making machine-breaking a capital crime, and hanging dozens of Luddites. The Luddite rebellions bring to the fore many of the conflicts that arose from the emerging Industrial Revolution and that fueled the literary imaginations of writers from the Romantic era: conflicts between new technologies and more traditional or domestic labor models; between natural, open spaces and growing, crowded cities; and between groups of oppressed or excluded humans (the poor, women, slaves) and those in power. It’s not difficult to see ways to connect any of those themes to the present day, but in this case luck was particularly on my side: Just before I was set to deliver my lecture on the Luddites, the story broke about the terrible labor conditions in Apple’s overseas factories. I finished my lecture that day by linking students to an article on the topic, and pointing out that new and more efficient technologies are still exacting a cost from the workers whom those technologies displace (or, in this case, abuse). Orienting the course to my four historical events also pushed me to develop new types of assignments. I am always reluctant to ask students to write a paper analyzing a poem because it’s so easy for them to find and parrot online interpretations. So instead of assigning a traditional explication of a text, I constructed a hypothetical scenario in which our college had announced plans to clear-cut the wooded areas on the campus and build new, state-of-the-art dorms, expand our campus technology infrastructure, and increase our revenues. The students’ job was to write an argument either for or against that hypothetical plan using the writings of our Romantic or Victorian authors as evidence. At the time of this writing, I am halfway through the course-revision experiment, just finishing up our second unit (which began with our second historical event, the Irish potato famine). The approach has definitely brought more coherence to the survey, and has helped me knit together more closely the literary works we are reading and their historical contexts. I have felt newly energized in teaching. I won’t know for certain how the students feel about it until the end of the semester, but I have seen no rebellions thus far. I have experienced three problems, however, that I have to think about more fully before the next time around. First, none of the historical events I selected were given more than a few lines in the massive survey anthology we are using as the course text. I don’t mind going outside the text for the material I need for the lectures, but it has meant that students don’t have a textual source for those lectures beyond the PowerPoints I posted to our course Web site. I have always felt that survey courses can be sluggish animals, slow and difficult to change, and I am realizing now that the standard survey textbooks play a major role in determining that slothlike quality. Second, and perhaps related, the new approach has forced me to do more lecturing than I typically would do in this course or any other. In addition to the major lectures on the four historical events, I have felt like I need to spend more time in each class session connecting the authors we are reading, or the historical events referenced in the survey anthology, to our major event or its connected themes. That has meant less time for the kinds of discussions or small-group work that form the typical fare in my courses. Finally it’s difficult to find a single historical event that can be used to link together all of the major canonical authors of a given time period. So in some cases I have had to artificially wedge in writers who were part of the era but don’t really fit into the historical event we’re focusing on. Or I’ve had to leave them out altogether, even though they might be among the most prominent literati of the period. In most cases, I have chosen the latter option. In all cases, I have done so with uncertainty and regret. The experience of trying to revise this course in the face of traditional expectations for it (both my own and the discipline’s) has taught me that there may be three sluggish animals in the room when it comes to surveys: The first is the course itself, the second is the textbook, and the third is me. I have had a harder time letting go of the “coverage” model of the survey than I would have anticipated, and it still rears its head every time I look at the syllabus and wonder whether I am doing the right thing. 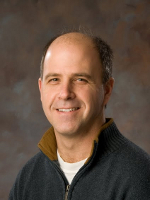 James M. Lang is an associate professor of English at Assumption College. This essay was originally published in The Chronicle of Higher Education, March 11, 2012.